Designed with proportions that are anything but prohibitive, accessible for riders of all sizes and experience, tight in the waistband to allow freedom of movement, the V85 TT boasts an optimal ride for pilot and passenger. No compromises have been made to the detriment of comfort and usability, resulting in a comfortable bike for two, with bags installed on the chassis frame. 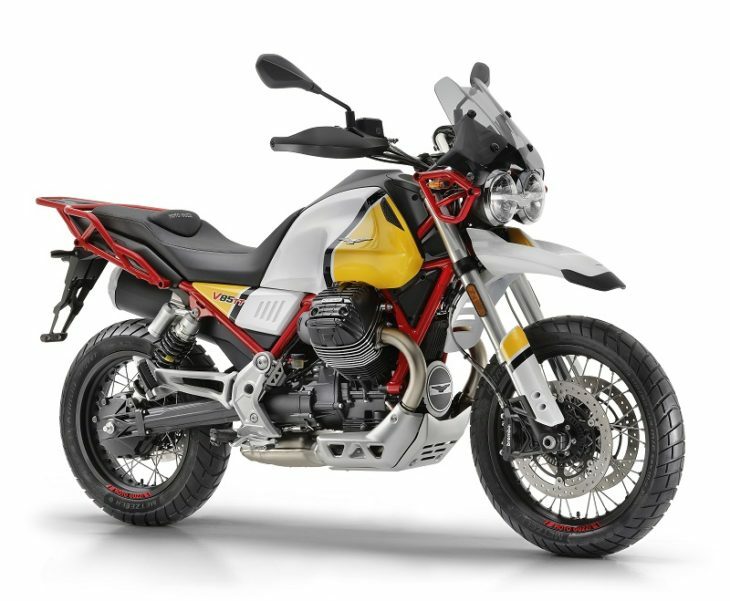 The fuel tank design harks back to the tradition of the Moto Guzzi models set up for the African rally raids. In line with the Guzzi story, there is also the high front mudguard and the beautiful double front headlight, stylistic and functional solutions already present on the NTX 650 from 1996 and the Quota 1000 from 1989. Modern technology elements – such as the fully digital instrumentation and the front LED DRL light series on the front headlight – combine classic styling with the off-road world. The technical platform of the V85 TT, including its mechanics – as always leveraged inside the body of the vehicle, with all its beauty being deliberately left in sight – is the technical basis for the development of a series of new motorcycles. A family of medium-sized cylinder bikes, from different intended uses, combined with strong character, generous performance and a style which is typically Moto Guzzi. Looks great, I would buy it on looks alone. Good thing that it can handle dirt roads as exploring off-road is half of the fun. When is the V7 going to be replaced with a bike with this engine?